Your fire alarm system is key to your safety preparation. Everything we do to prevent fires (and other disasters) rests on one unavoidable truth: No system is perfect; bad stuff still happens. When it does, you need that alarm working! What could happen if your alarm system fails? False Alarm: Think about it: A real fire/disaster means you need to clear your building. You lose revenue but you save lives. A false alarm means you cleared the building for nothing – you lost revenue, you scared your customers, your employees stood around not working. The fire department could be at your place when a real emergency happens across town – for which you might get a hefty fine. It’s not a no-win situation, it’s an everybody-loses situation. Proper inspections minimize this possibility. System Failure: Whoever said, “What you don’t know can’t hurt you,” was an idiot. Making sure all alarms function properly ensures the fire department responds ASAP. Functional alarms minimize property damage and threats to life. A serious fire can kill you (and innocent bystanders); it can also kill your business even if no one gets hurt. These inspections are required by law for good reasons. Additionally, passing all your inspections limits your liability; may reduce your insurance premiums; prevents hefty non-compliance fines – which may include shutting you down until the violation is fixed. Our inspection reports are as accurate and thorough as humanly possible. They’ll assist you in answering questions from the fire department. Written in clear, non-technical terms, you’ll know what we found, what needs fixing and how we can fix it. You’ll get digital reports – no indecipherable, handwritten scrawls – when we leave and a second copy emailed that day, giving you two points of reference. Our friendly, fully-trained technicians will ease your concerns. We answer all your questions and show you what we’ve found so that you’re satisfied you know what we’re talking about. Our techs are licensed and certified – Journeyman level, at least, with NICET level, backflow prevention certifications, and more. 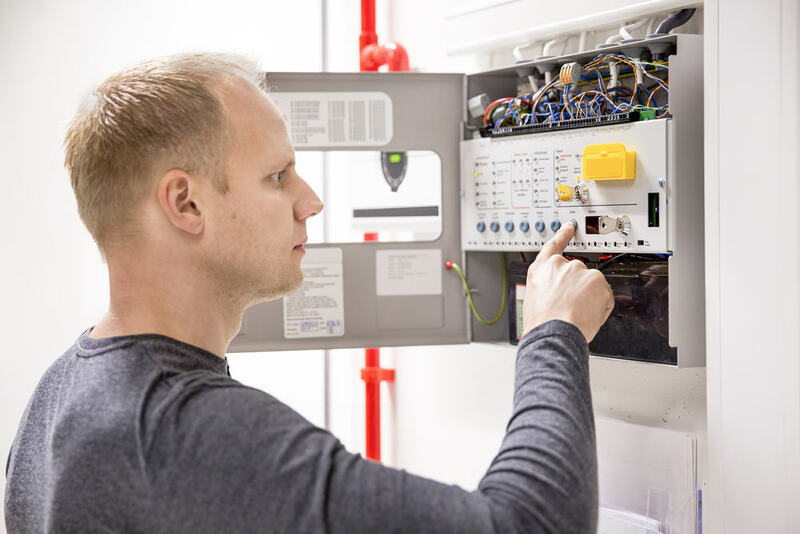 They carry the equipment needed for complete inspections and we cross-train so that every tech can assist with on-the-spot repairs, saving you money and time. Our inspectors perform as a team. This cohesion provides a more thorough inspection, saves time, and eliminates most mistakes. Clear communication is a top company-wide priority – our left hand always knows what our right hand is doing. When repairs are necessary, we complete them to the original manufacturer’s specifications. Integrity offers full compliance with all applicable federal and local laws and, even more important, peace of mind. You can’t put a price on that. Contact Integrity today for your peace of mind.